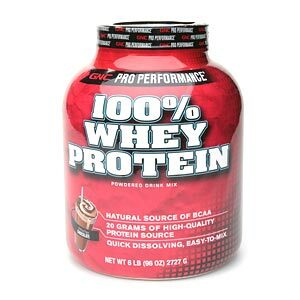 Whey protein is a dietary supplement that can be used for many purposes, from gaining muscle to shedding extra pounds. Side effects are mild and rare and may include issues related to digestion of the product such as nausea, cramps and indigestion. More serious whey protein side effects are generally related to the accompanying overall diet more than the supplement itself. If you are allergic to cow’s milk, you should not use whey protein powder as you will experience an allergic reaction. You may be able to tolerate whey protein isolate, which contains less lactose. It is especially important to be aware of these side effects in infants who are taking formula with whey protein in it. Check the ingredients label of the formula and make sure you are aware of all ingredients. If you notice these or other side effects in an infant on this type of formula, contact your pediatrician immediately. Side effects related to an allergic reaction will typically occur 30 minutes to 2 hours after the whey protein is ingested. Ketosis is sometimes listed as one of the possible side effects of whey protein. However, whey protein itself does not cause this particular side effect. Instead, it is the use of a high protein/low carb diet that causes this type of damage to your liver. When glycogen stores are depleted in the liver, the body must use fat as its primary fuel. This releases ketone bodies into the blood resulting in ketosis. If you intend to use whey protein powder as a supplement to a high protein diet, you should be aware of the potential damage that this could do to your body. Consult your doctor before starting any new diet to ensure safety and optimal health. Levodopa is the only medication that is associated with serious whey protein side effects. Whey protein powder will dramatically decrease the amount of levodopa that the body absorbs. This in turn decreases the effectiveness of this drug. Whey protein and levodopa should not be taken together. Side effects are rare, especially with moderate and responsible use of this supplement. Whey protein powder can be added to your diet to help you bulk up or lose weight, depending on how you use it. Consult your doctor before beginning a drastically different diet regimen to ensure that your body is still getting the nutrients it needs to stay healthy.